5 Totally Cool Bepoz POS features you should be using in your venue. 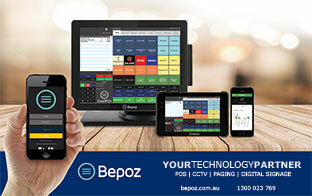 Bepoz modern POS systems can manage all your marketing and promotion campaigns from weekly happy hours or discounts, managing loyalty program sign-ups and benefits, and issuing and redeeming vouchers. Building customer engagement is at your finger tips. Inbuilt reporting through Bepoz POS offers you real-time reporting and analytics, allowing prompt responses to trends and exploiting them with pricing initiatives, as well as set ordering alerts based on sales. Stock control in the hospitality industry is notoriously hard to stay on top of, and often results in losses from running out of stock, or wastage from over-estimating demand. With Bepoz monitor your stock and inventory levels in real-time based off sales, it is much easier to get a clear idea of stock levels. You can even set minimum levels to automatically trigger a reorder. Don’t hover over your computer screen all day. Set yourself a few Smart Alerts, proactive alerts sent to your phone via SMS, keeping you and your staff updated on the key things each person needs to know to help business operations run as smoothly as possible. On the go reporting app, additional to smart alerts you get one touch acces to your business performance with live statistics.